The section dedicated to the presentation of the most popular GLENI products continues. Today we will talk about one of the most famous models of the brand, born with the company and in production for years: Irina. This entry was posted in Presentation products, Shopping Online on 03/01/2019 by miro.ekaterina. 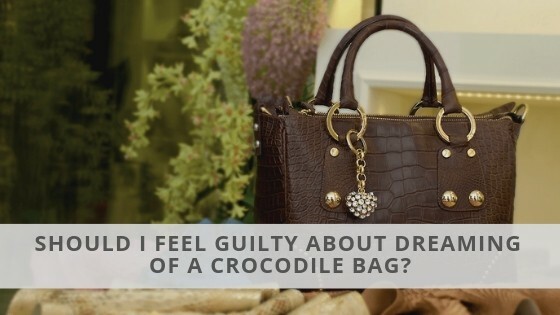 The crocodile bag – harm or benefit for conserving the species? * N.B. 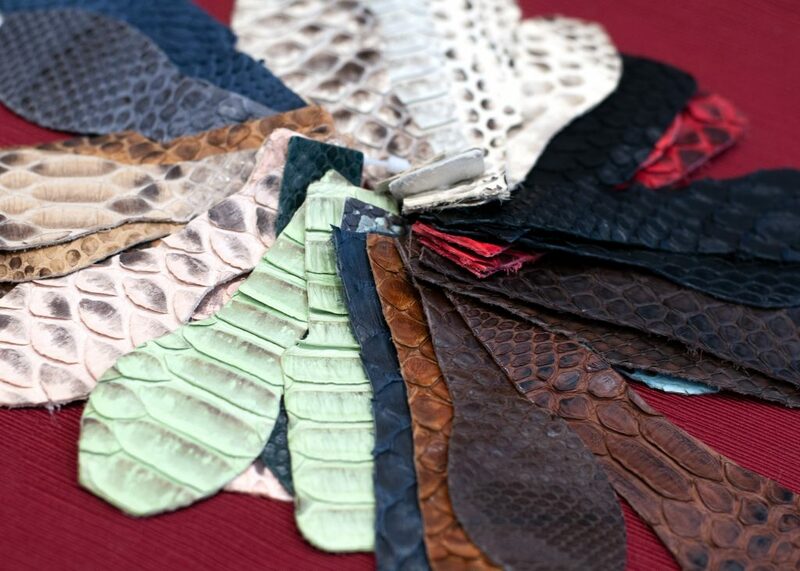 Everything indicated below refers to crocodile leather products; Such information, however, also applies to python leather products. Principles and ideas are quite similar. 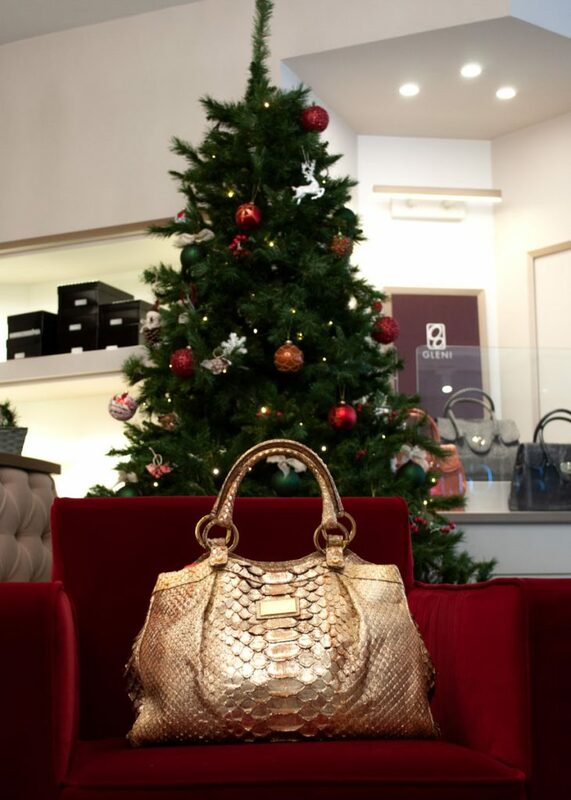 Imagine a chic leather crocodile bag displayed in the showcase of a trendy boutique in the city centre. How do you feel looking at it? Enchanted by its exclusivity and driven by the desire to buy it right away? 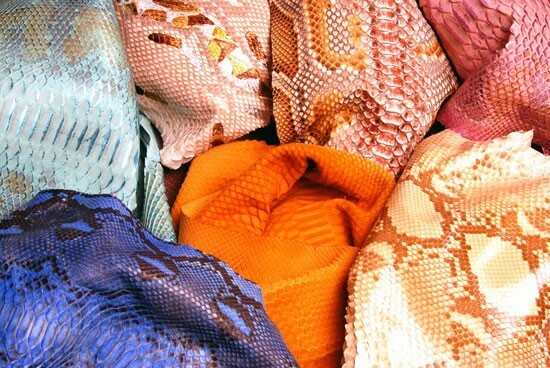 Bothered by the use of the skin from an exotic animal? Or totally indifferent? Have you ever heard of Cites? 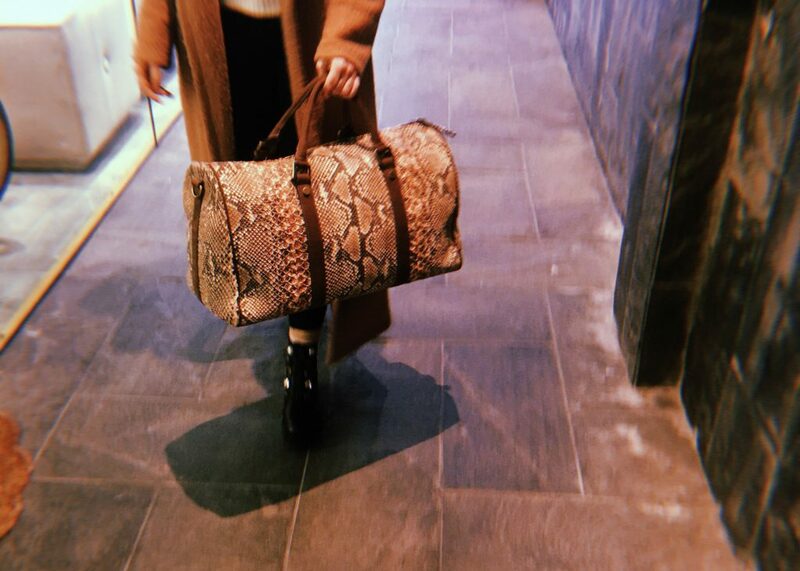 “But what does a crocodile bag have to do with CITES? And, above all, what does it have to do with me?” – You may be asking yourself and you are right, because this connection, tough direct and immediate, is not obvious and familiar to many of us. Nevertheless, it is precisely through compliance with CITES regulations that the purchase of this bag not only will not harm the environment, but will also stimulate the growth of these animals in their natural habitat. You don’t believe it? It is, however, exactly the case! Let’s see together how it works. This entry was posted in 10 things you should know before purchasing an exotic leather handbag, CITES, Leather on 02/22/2019 by miro.ekaterina. 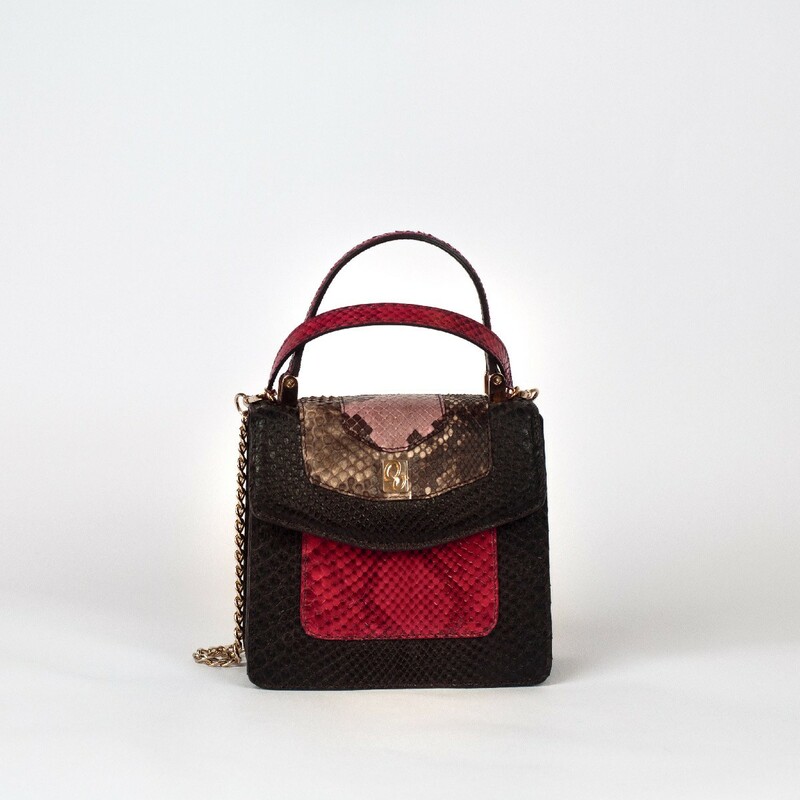 Driven by the desire to experiment the new techniques of workmanship and tanning of python directly on our products, we have decided to create an entire capsule collection in embroidered Caffellatte python. We’re sure that you will soon fall in love with this variant of python with a… so tasty name! This entry was posted in Uncategorized on 02/15/2019 by miro.ekaterina. 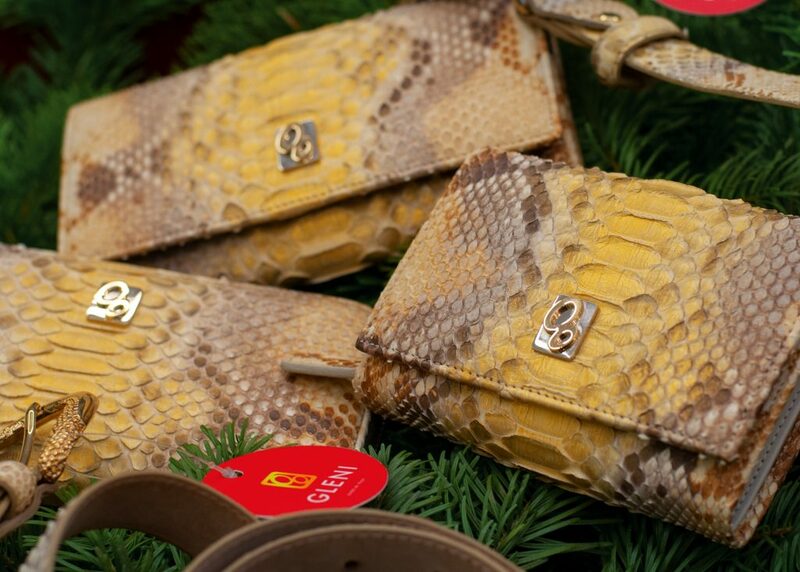 Since its first beginnings as manufacturer and exporter of luxury leather goods, Gleni has distinguished itself for constant commitment in the search for styles and materials that could characterize products making them unique and unrepeatable. We have always given importance to the design of our models, trying to create products able to enhance the appearance of the person wearing them but, at the same time, also to ensure comfort and practicality, preferring models with a sober and classic line, able to last in time. We pay attention to the hardware used for the finishes of our products, always opting for a qualitative accessory but, above all, we invest a large part of our working time in the selection and choice of leathers we use to give life to our products. This is perhaps the aspect of our work that most involves and intrigues us, maybe because our staff is completely made up of women and we are all very curious to discover what new colours and new different treatments of exotic leather have been proposed by tanneries at the Lineapelle (the six-monthly fair specifically dedicated to the presentation of novelties in matter of leather). 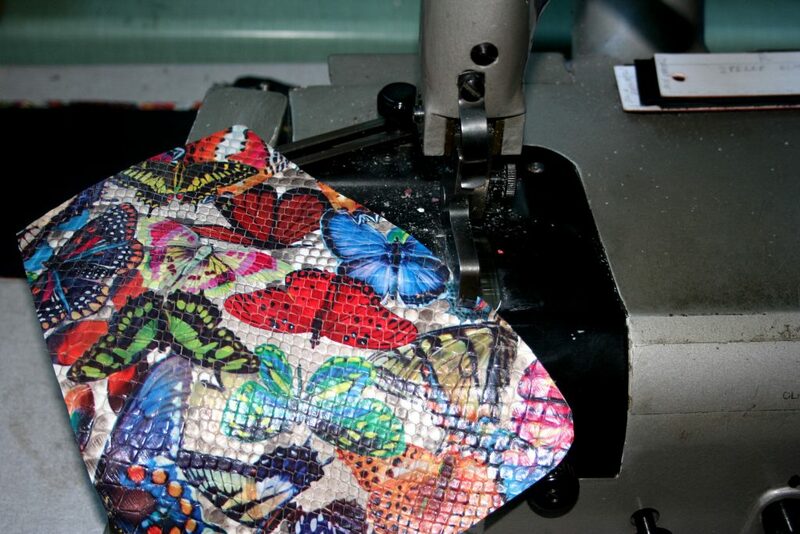 Every time there is to prepare a new collection, we spend a lot of time choosing the skin that, in our opinion, best fits the model of one bag rather than another and, every time, we try to find a colour or maybe a leather process able to transform our collection into something unique, superb and irresistible. This entry was posted in Secrets behind our creations on 02/15/2019 by miro.ekaterina. There are many values that GLENI has conveyed over the years. First of all, the exaltation of your uniqueness. By giving advice to our clients, we have always encouraged the often overlooked aspect of buying: the inner one. How does that bag make you feel? Does it give you joy? Does it fit with your personal style? Does it make you feel beautiful? And, above all, do you feel like yourself wearing it? If the answers to these questions are a resounding yes, nothing else matters. 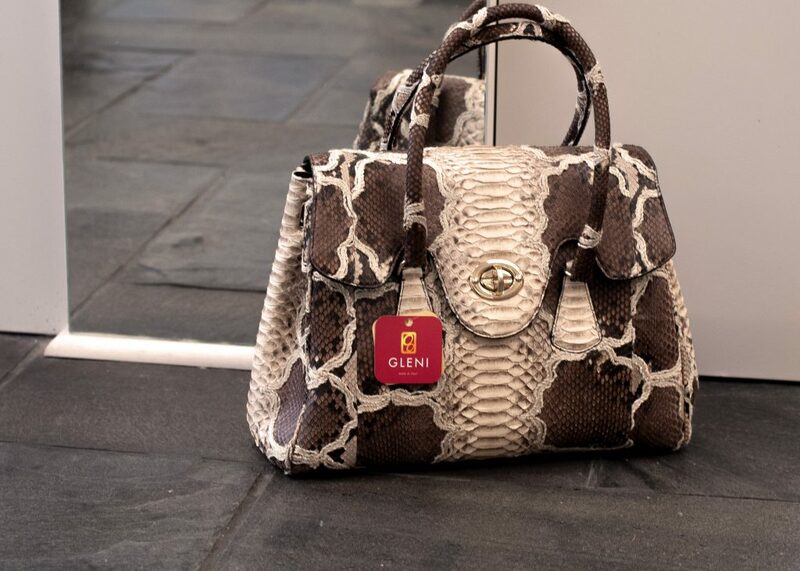 Trends and fashion fade into the background: wearing a GLENI bag means defining your style in a special way, emphasizing your uniqueness. That’s why you should always give you the luxury of being yourself. But what happens if, by looking at our bags, nothing makes you feel unique? Maybe a model caught your eye, but the yellow color doesn’t suit you. 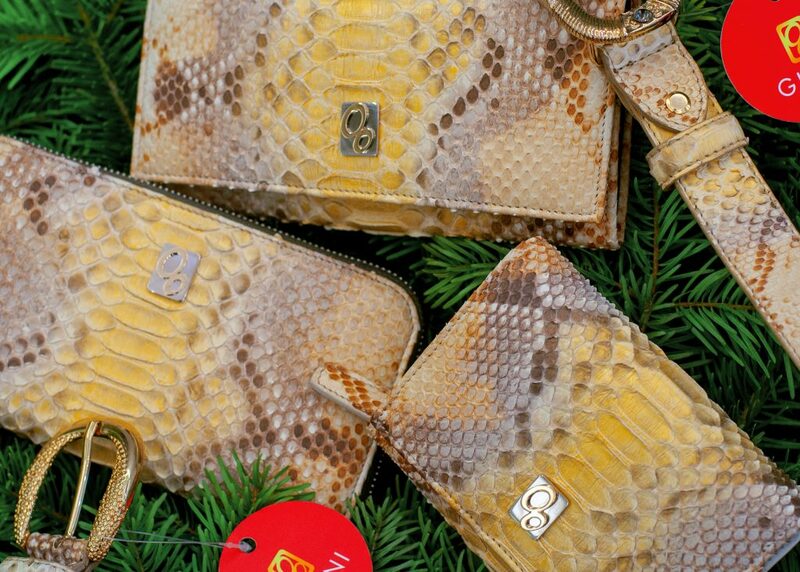 Or you prefer the sumptuousness of crocodile to the elegance of ostrich. Or maybe you love both the model and the color, but you would prefer a shiny finish. No problem: there’s no need to run. We have some pretty spectacular news: the lab. This entry was posted in News, Shopping Online on 02/11/2019 by miro.ekaterina. Gleni brand has established itself over the years for its careful commitment in the search of a quality product that could fully satisfy both the man and woman of style, lovers of luxury but also of refinement, promoters of the genuine Made in Italy craftsmanship in the world. It is with this fixed idea in mind that we all worked diligently together with our staff of craftsmen, making every collection of women’s handbags and small leather accessories a tribute to the real essence of Italian craftsmanship through the choice of selected exotic leather, rigorously controlled and certified by Cites or through the choice of models with a sober and elegant style that, however, don’t neglect the haute couture trends. Many were the sacrifices, the extra hours spent all together to evaluate which leather and color could better bring out a model rather than the other and great was the meticulousness with which our craftsmen have given life and shape to our articles, leading attention to every detail, even to the smallest, to make each of our products impeccable and make you proud of our work. We have put so much effort during these years, but there have been many satisfactions, especially on your part. In fact, it was you who, with your daily appreciation, with your compliments and, why not, even with your little criticism and suggestions, encouraged us to go forward with passion and dedication to our work, supporting us with affection also in the most difficult moments. This entry was posted in Presentation products, Shopping Online on 01/18/2019 by Serena. On some level, the first week after the holidays is the saddest and happiest period of the year at the same time. It forces you to think about the past year, come to terms with everything you’ve achieved or not and organize the new year. It’s that time of the year when you can finally open your new planner and think about your resolutions. It’s that moment of the year when anything that comes to your mind is not impossible: get back in shape, organised that travel that you wanted to do for so long, finally take courage and start the work of your dreams. At Gleni we decided to start the year, taking some time for ourselves and closing from December 22nd until January 2nd. We decided to close the boutique and relax surrounded by the affection of friends and relatives, to start the new year to the fullest. This entry was posted in News, Uncategorized on 01/11/2019 by miro.ekaterina. The GLENI team wishes you a Merry Christmas! Let yourself be enthralled by the magic that characterizes Christmas: spend the holidays in the company of your loved ones and surround yourself with tranquility and joy. This entry was posted in Uncategorized on 12/25/2018 by Serena.